Congratulations on deciding to add to your family. As you prepare for pregnancy or to give birth, you want to know that you and your baby are as healthy and protected as possible. In addition to regular doctor visits, you will likely want to take a prenatal vitamin. With so many choices, it can be hard to discern which one best meets your needs. We created a comprehensive guide to help you. Prenatal vitamins are an essential part of a healthy pregnancy for most women. The supplements, which are available from most major vitamin manufacturers, typically include folic acid, iron, calcium and a wide range of other vitamins and minerals that keep an expecting mother healthy and help her baby to fully develop. Prenatal vitamins are also helpful to take before becoming pregnant because they can help with conception. Many mothers continue to take the vitamins after the birth so that the baby can absorb more nutrients through the breastmilk. While we aren't health professionals, we still did extensive research. We ranked our choices for the top prenatal vitamins based on extensive study into which vitamins and minerals each product contained, how much of them were included and the price per bottle compared to the servings per bottle. We also examined whether the products had won any awards, whether they had any certifications from authoritative organizations and whether the reviews from previous users were positive or negative and why. Organic products are those created without using ingredients that contain pesticides, genetically modified organisms, ionizing radiation, synthetic fertilizers, growth hormones or antibiotics. While produce and meat are typically what come to mind when organic products are mentioned, the organic label can extend to any number of products, including prenatal vitamins. Garden of Life Vegetarian Prenatal Multivitamin Supplement with Folate is one of the top organic prenatal vitamins on the market. It is specifically formulated the vitamins using raw whole foods to create the most nutritious supplement it could. Vitamin D, zinc, ginger and probiotics are a part of the ingredient list to aid expecting mothers during the digestion process. Iron, vitamin B-complex, folate, and vitamins C and E support blood and heart health for both mother and baby and aid in the development of healthy neural tubes. The vegetarian, gluten-free and organic multivitamins do not use any binders or fillers. Other ingredients include vitamins A, B1, B2, B6, B12, C and K as well as niacin, biotin, pantothenic acid, magnesium and selenium. Expecting mothers should take three capsules daily and can do so with or without food. Garden of Life vegetarian prenatal multivitamin supplement with folate has an overall rating of 4.3 stars. Those who love the product do so because of its food-based organic ingredients. Some users also claim it helped with morning sickness during the first trimester. Commonly listed disadvantages include how often you need to take the vitamin as well as the fact that it has a strange taste. However, if you take the vitamin with juice instead of water, you are less likely to notice the taste. Always read the ingredients for the bottle size you are choosing, as there may be a slight variance between sizes. Vegan products are those sourced only from plant products. No animal products, including milk, honey or eggs, are used in vegan diets or products. People who follow a vegan lifestyle must be extra-diligent, as many items, including the gel caps used to create many pills, may be made from animal products. 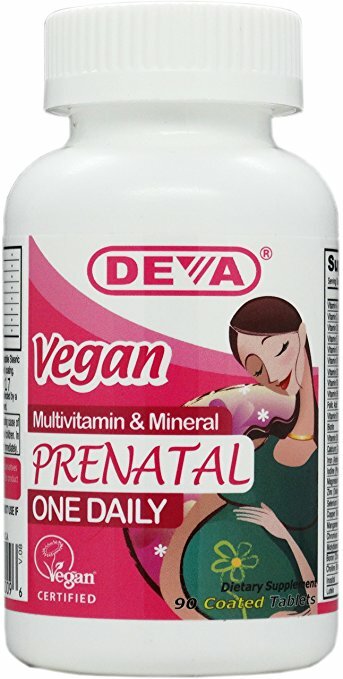 Expectant mothers who are vegan can find several prenatal vitamins, but many swear by Deva Vegan prenatal multivitamins. 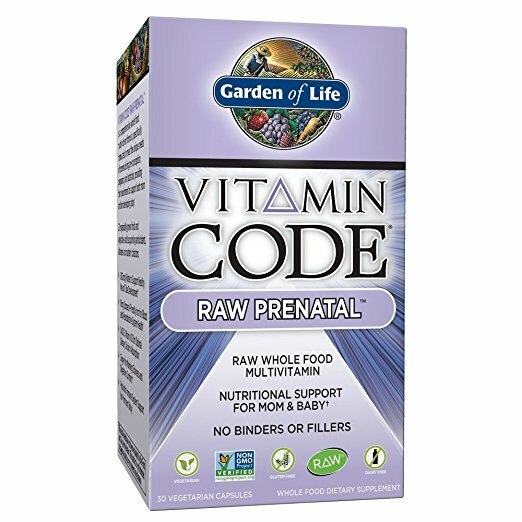 These 100-percent-certified-vegan coated tablets are specially formulated to ensure both mother and unborn baby get the nutrients they need to thrive during the pregnancy. The formula includes 138 percent of the daily recommended folic acid allowance as well as 1,500 percent of vitamin B12, which is usually harder for vegans to obtain from their diet since it is mostly in meat products. The product is guaranteed pure and fresh. Expecting mothers who use Deva Vegan prenatal multivitamins give them an overall rating of four stars. Those who love them appreciate that they don't have a strange smell like some vitamins do and that they seem to help with nausea throughout the pregnancy. Many also say there is no aftertaste and the pills are small enough to swallow easily. On the other hand, people who weren't fans often said the pills were too large to swallow comfortably, and some reported that they couldn't put the vitamins into pill organizers because the pills started to get black spots on them after being exposed to air. Overall, as long as you don't have an aversion to swallowing pills and keep them in the bottle they came in, these vegan prenatal vitamins are a solid choice. MTHFR is an enzyme. It adds a methyl group to the folic acid in your system so that your body can use it. Produced by the MTHFR gene, the enzyme is necessary to use vitamin B9 properly. It also converts homocysteine into methionine, which your body needs for proper muscle growth and metabolism as well as for creating glutathione. Some people have a mutation to the MTHFR gene that causes it to have trouble eliminating toxins from the body. Identifying mutations or defects in the MTHFR gene is important, because when passed through a pregnancy, it could cause folate-related disorders such as spina bifida in the fetus. Pregnant women with the mutation must take special vitamins to ensure they get the nutrients they need in the most effective way possible. MTHFR mothers can find the vitamins they need in Seeking Health Optimal Prenatal vegetarian vitamins. These vitamins offer women the key nutrients they need during the pregnancy and well into breastfeeding while maintaining folate levels via methyl folate. The comprehensive formula includes active vitamins and chelated minerals to support a healthy pregnancy. The product, which was once the recipient of the Women's Choice Award, is helpful for cognitive development. It does not contain iron since not all women need to supplement their iron intake during pregnancy. 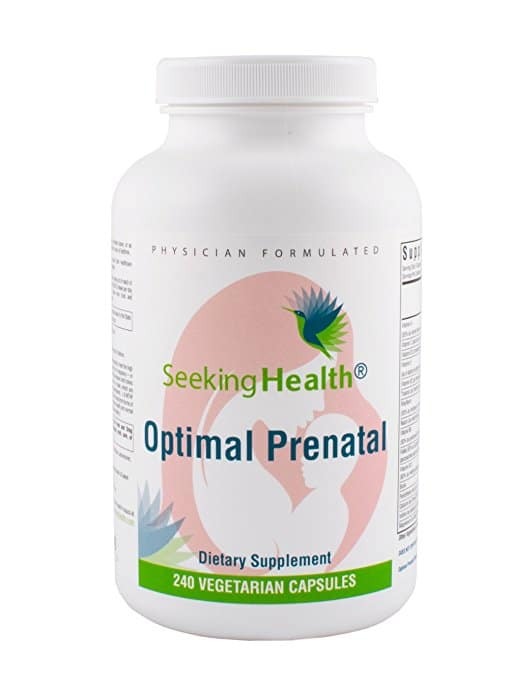 Current and former users of Seeking Health Optimal Prenatal vegetarian vitamins rate the product at 3.9 stars. According to the reviews, several doctors were happy to hear their patients were using this product over all others. Other advantages include being available in capsule form, which prevents some of the taste and smell that comes along with prenatal vitamins in tablet form, and added health benefits like helping to keep blood pressure normal. Some users love the product so much that they keep taking it as their multivitamin after pregnancy is over. The biggest disadvantage of the product is how many times you need to take it. Because it is easier to absorb B vitamins when you spread them throughout the day, women are instructed to take three pills in the morning, three at lunch and two later in the afternoon. While this helps with absorption, it can be very inconvenient for those with demanding daily schedules. Some women prefer to take a prenatal vitamin with Omega-3 acids in them. Omega-3s are important for heart health and are known to lower blood pressure, slow plaque development in the arteries and reduce the chance of heart attack or stroke. Nature Made Prenatal + DHA softgels are one of the most popular Omega 3-containing prenatal vitamins on the market. In addition to 260 milligrams of Omega-3s, the product contains vitamins A, C, D, E and K, thiamin, riboflavin, niacin, folic acid, calcium, iodine and a wide range of other nutrients needed for a healthy pregnancy. The product, which is specially designed for pregnant women or those who wish to become pregnant, does not use any artificial flavors or coloring, nor does it use yeast or starch. Additionally, the vitamins do not include preservatives or gluten and have been clinically proven to absorb well. The USP-verified product is about the size of a penny and can be taken with food once per day. 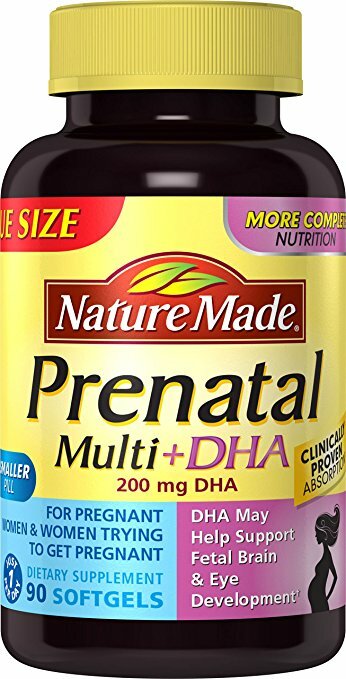 Nature Made Prenatal + DHA softgels have several advantages and disadvantages. The fish oil in them often helps with things other than pregnancy, such as making hair feel softer and stronger. The softgels are typically smoother and easier to swallow, and the price is a major advantage for people on a budget. Negative reviews all seem to focus on one thing: The company changed its formula recently. While many people still love the product, some say the vitamins now have a fishy smell and taste to them. However, it should be noted that this is a complaint about most vitamins containing Omega-3s. Overall, this is an excellent choice for someone on a budget whose stomach doesn't get queasy about certain smells. If you can't stomach the thought of swallowing boring traditional vitamin pills, Vitafusion Prenatal Gummy Vitamins may be right up your alley. These gummy vitamins are high in vitamin C, providing 242 milligrams per serving, which is as much as eating 10 tangerines. The gummies are best for supporting immune health and are available in natural orange or other natural flavors. Other nutrients packed into every bottle include 100 percent DV folic acid and 50mg Omega-3s. Vitamins A, C, D and E are also in the gummies. They don't include extra iron, which makes them easier on the stomach. Even better, Vitafusion gummies are naturally delicious. They have even won the Chef's Best Excellence Award. Vitafusion does not use artificial flavors, sweetener, gluten, high fructose corn syrup or dairy. 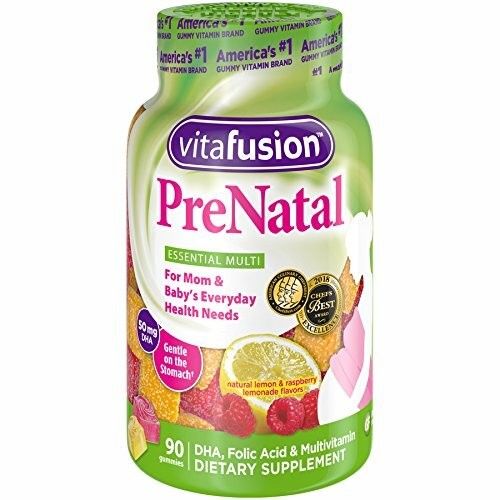 Vitafusion Prenatal Gummy Vitamins have an overall rating of 4.3 stars. People seem to be evenly divided over the taste. Many say the vitamins taste sweet and do not leave any unpleasant aftertaste, but others say they feel the vitamins leave a bad aftertaste that is only slightly worse than their original taste. The price is also a common selling point because they are quite affordable for someone on a budget. The product claims it can be left at room temperature but will do best when refrigerated. Some users say the product melts when left at room temperature but feel that leaving them in the refrigerator is inconvenient. Overall, this product is a solid choice for people who don't like traditional pills but still want to get their important vitamins and minerals in. Prenatal vitamins offer many benefits before conceiving, during pregnancy and after the baby is born. Folic acid is an important nutrient not only during pregnancy but for aiding in the conception process as well. For this reason, many doctors suggest starting a prenatal vitamin regimen as soon as you decide to try to conceive. In addition to boosting the chances of fertility, folic acid helps to combat neural tube birth defects such as spina bifida and supports spinal cord development. Finally, folate supports the baby's brain development. When pregnant, your body consumes iron faster and therefore needs more of it. It is the building block that supports oxygen and nutrients for the baby. Iron makes hemoglobin, which you need 50 percent more of than normal while pregnant. It also improves symptoms of anemia. Every woman naturally has a mild form of anemia, which can worsen during pregnancy and hinder normal fetal growth. Iron helps pregnant women carry to term while creating a healthier immune system and warding off sickness during the pregnancy. Calcium is related to fetal development and protects the mother's bones and muscles. It assists in physical strength and develops the baby's bones and teeth. Calcium may also keep other bodily functions, such as heartbeat, normal and regulate nerves. Finally, it may aid in the prevention of preeclampsia. Preeclampsia causes protein from the kidneys to flow into the uterus and cause hypertension, which makes calcium very important. Omega-3, which you may also see referred to as DHA, is important for both mother and baby. DHA refers to docosahexaenoic acid, which helps to prevent preterm labor and may even ward off postpartum depression. DHA also assists during breastfeeding by helping the baby's eyes, nerves and brain to develop thoroughly and helps to improve attention span. It is most important during the third trimester and during breastfeeding. 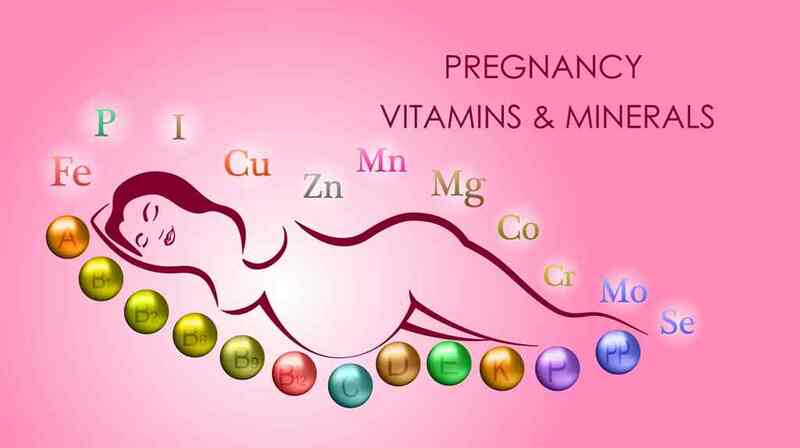 The other vitamins and minerals in prenatal vitamins are just as important. Vitamin B6 provides relief from morning sickness during the first trimester and helps to metabolize fats and carbohydrates as well as supports the formation of antibodies, neurotransmitters and new blood cells. Vitamin C heals wounds, repairs brittle bones and rebuilds tissue. Merged with calcium, Vitamin D helps to build fetal bones and teeth and helps to prevent preeclampsia. Zinc is also important. It heals the woman's body and helps tissues and organs to function properly. It also improves the immune system. Just like any other supplement, prenatal vitamins do have potential risks and side effects. Some women experience problems with the digestion process while they take prenatal vitamins. This typically presents as constipation, diarrhea or nausea unrelated to the pregnancy itself. While these effects are usually temporary, call your doctor if you become concerned. The iron in prenatal vitamins may also cause stools to turn black, but this is normal and not harmful. However, keep in mind that not all women will need to boost their iron intake, so talking to your doctor is suggested. Many prenatal vitamins cause a bad taste in the mouth that lingers. While this can be unpleasant, it isn't uncommon or dangerous. You can combat the problem by taking the supplement with lots of water or juice or by chewing gum or mints after taking the supplements. Some people may notice a change in their urine. In particular, B vitamins can cause the color to change. Your urine may look darker yellow or even orange during your prenatal vitamin regimen. For some people, the odor of the urine becomes stronger and causes them to feel self-conscious. Neither of these changes is dangerous, but if the problem persists and you become concerned, consult your doctor. Having an allergic reaction to prenatal vitamins is very, very rare. Still, be on the lookout for serious side effects such as rashes, itching and swelling of the face, tongue or throat, trouble breathing or severe dizziness. If you experience any of these symptoms, stop taking the vitamins immediately and head to the emergency room. If you have allergies, consult your doctor before starting any prenatal supplement. Inactive ingredients may contain some common allergens. If you take other nutritional supplements or are on certain medications, consult your obstetrician before starting a prenatal vitamin. Taking one on top of other nutritional supplements could cause you to overdose on certain vitamins and minerals. Prenatal vitamins may also decrease the absorption of some medications, including antibiotics, thyroid medications and bisphosphonates. Prenatal vitamins shouldn't be used if you have an iron overload disorder such as hemochromatosis or hemosiderosis. Your doctor may also ask you to avoid the supplements if you have a history of alcohol abuse, ulcers, colitis or liver problems. The folic acid may cause problems for people who have a vitamin B12 deficiency. Because prenatal vitamins are all created differently and don't contain the same ingredients in equal amounts, the recommended dosage is not universal. For the most part, you should look at the dosage recommendations on the packaging and follow those directions. Sometimes, that means taking just one vitamin a day; other times, you'll take them at every meal. Your doctor may also provide further dosage instructions based on your personal history. For example, women with the MTHFR gene may need less folic acid or folate while those who do not have an iron deficiency may not need a supplement that includes iron. Above all else, never take more than the doctor or manufacturer recommends. A nutrient overdose can be just as dangerous as not getting enough nutrients. Choosing the right prenatal vitamins for your conception, pregnancy and birth depends greatly on doing your research. Talk to your doctor about your current nutrition levels and what seems to be lacking from your diet. Look into the products that most interest you, and compare their lists of ingredients to see which one most closely offers what you need. Remember to consider special situations, such as if you do not need more iron or if you have the MTHFR gene. If you are on a budget, you also want to compare how many servings you get per bottle and how much the pills cost. Remember, you are not obligated to continue to take the same supplement throughout your entire pregnancy. If you try one and find that you don't like it for some reason or don't feel that it is doing its job, you can try another brand and continue to switch until you find the one that's right for you. Here are some other recommendations you can check out. 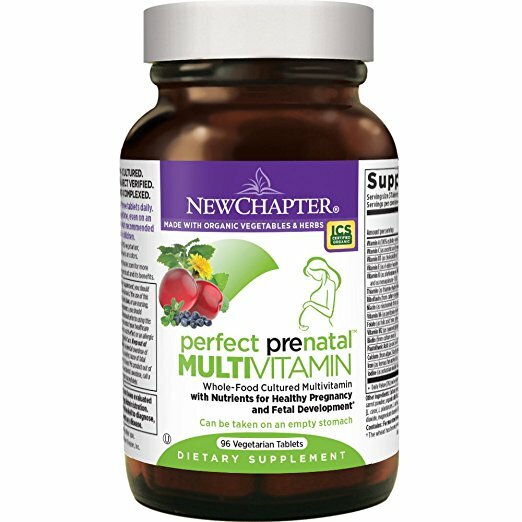 Expertly formulated, New Chapter Perfect Prenatal Vitamins fermented with probiotics feature no added sugars. The nutritional supplement supports you during the preconception process and aids in fetal development for a healthy pregnancy. It is touted as being gentle even on an empty stomach. 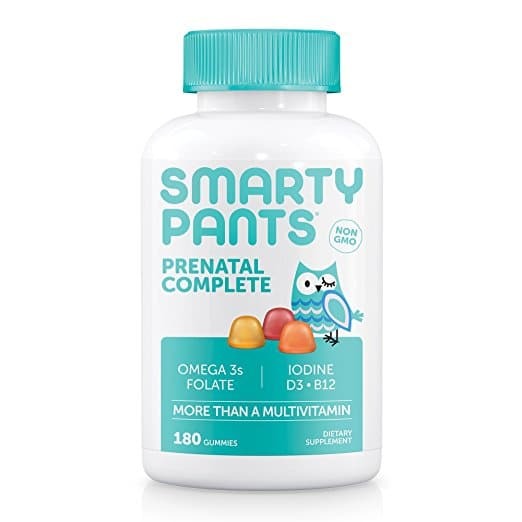 Another chewable option is SmartyPants Prenatal Complete gummy vitamins. The company calls these the galaxy's best-tasting gummy. These vitamins contain 15 essential nutrients to help you and your baby remain healthy during pregnancy. The non-GMO product doesn't contain any allergens or artificial dyes, flavors or sweeteners. They were tested in a third-party lab. 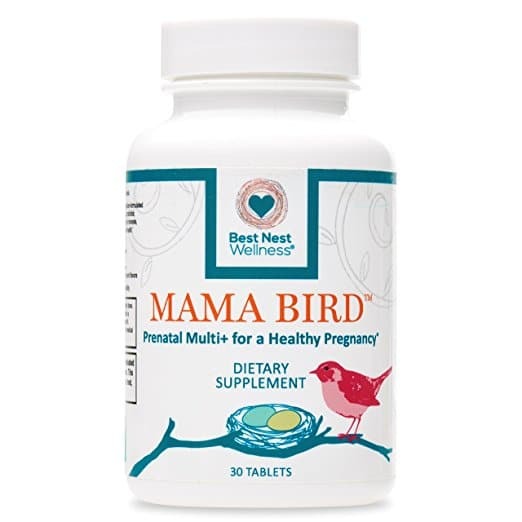 Featuring only methylated vitamins, Mama Bird once-daily prenatal multivitamins are a unique vegan formulation that includes an organic herbal blend to combat morning sickness. It also features digestive enzymes and probiotics. This product claims to be formulated by a board-certified expert in neurology. Please remember that reading our content does not constitute a medical consultation. Before starting any new medication or supplement regimen, especially during pregnancy, you should consult with your doctor.